While neck pain is not as common as back pain, millions of people experience neck pain on a daily basis and the 2 are interrelated. Chronic neck pain may be caused by several different factors and conditions. 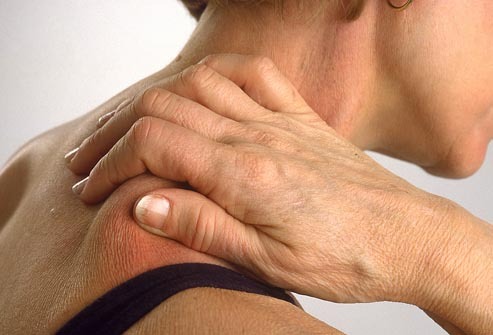 For more on muscle pain, please read Get Rid Of Inflammation For Good. Job related stresses may also greatly contribute to neck pain. A painful, stiff or tender neck could be a general warning sign. Numbness, tingling or weakness in the arms or legs is possibly the result of a compressed nerve. Most neck muscle strains result in a stiff neck or pain in the shoulder muscles. Pain from the neck can also result in headaches. If you would like more information on headaches, please read Natural Remedies For Chronic Migraines. Neck pain can really be prevented by avoiding injury to the neck altogether. It is important to learn how to sit correctly, sleep and stand properly. Your spine has natural curves that form an S-shape. Good posture involves training your body to stand, sit, and sleep in positions where the least amount of strain is placed on your supporting muscles and ligaments. Please read Long-Term Treatment For Back Pain to learn more about correct posture. There are many things to consider when you are sitting for long periods of time. 1. 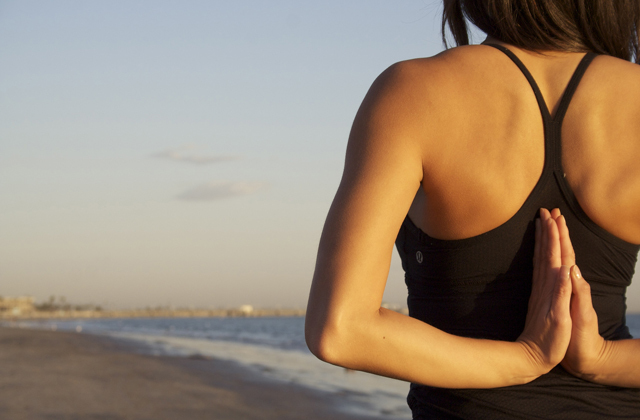 Sit up with your back straight and your shoulders back. 2. Your buttocks should be touching the back of your chair. 3. All three normal back curves should be present when sitting. 4. Distribute your body weight evenly on both hips. 5. Keep your feet flat on the floor. A small, rolled-up towel or a lumbar roll can be used to help you maintain the normal curves in your back. The best lying or sleeping position may vary? Try to do what is most comfortable for you. 1. Your pillow should be under your head, but not your shoulders. 2. Sleep in a position that helps you maintain the curve in your back. 3. Avoid sleeping on your side with your knees drawn up to your chest. 4. Do not sleep on your stomach. 1. Hold your head up straight with your chin in. Be sure not to tilt your head forward, backward or even sideways. 2. Always make sure that your earlobes are in line with the middle of your shoulders. 3. Keep your shoulder blades back and your knees straight. 4. Tuck your stomach in. Make sure not to tilt your pelvis forward or backward when you are standing. If you find yourself with an extremely sore neck, there are several options available. A gentle massage will also help for neck pain symptoms as it stimulates blood flow in the area which helps it to heal faster. When it comes to neck pain treatment, neck exercises can be very important. An appropriate neck exercise program can address problems like neck pain, back pain, stiff joints, and headaches simultaneously. A typical neck exercise program will consist of a combination of stretching and strengthening exercises, aerobic conditioning, and possibly trigger point exercises. Over time, regular neck exercises may reduce the pain of normal activity. In a recent study, it was found that by doing the exercise known as the “shoulder abduction” you could enjoy 40% less neck and shoulder pain. This exercise consists of securing a resistance band to the floor. Begin by raising your arms away from the side of your body to a 90-degree angle. Do this exercise two minutes per day for a period of ten weeks for the best results. Start by getting into a seated position on the floor. Once seated, place both hands at the rear of your head, fingers interlocked. With your thumbs pointing down and elbows pointing straight ahead, slowly pull your head down to your chest. A combination of stretching, range of motion exercises and manipulations can help to preserve motion while also lessening or even preventing chronic neck pain.